After weeks of rumbling, activity from the Manaro Voui volcano — at the centre of the northern island of Ambae — increased in recent days, the Vanuatu Meteorology and Geo-Hazards Department said. 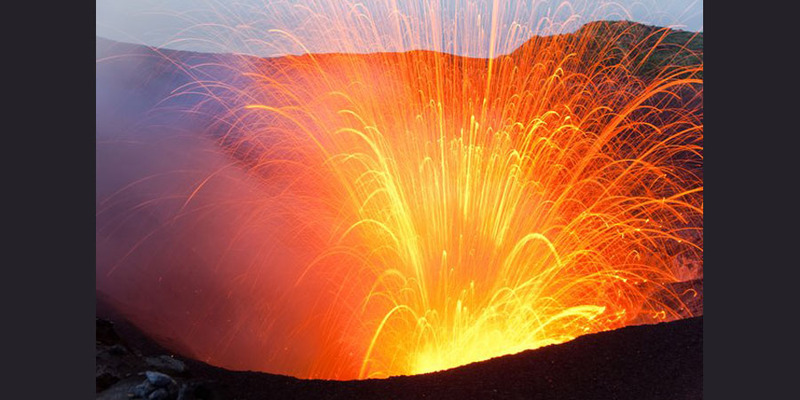 The department on Saturday raised the alert level from three to four, which represents a “moderate eruption state”, and warned of “flying rocks and volcanic gas” affecting villages up to 6.5 kilometres (four miles) from Manaro Voui. Schools were shut and more than 7,000 people — 70 percent of Ambae’s population — were being evacuated, Vanuatu National Disaster Management Office’s director Shedrack Welegtabit told the Vanuatu Daily Post Tuesday.